Mommy Jane loves to bring Little Angels to join activities that will benefit them. Joining activities allow our children to use their creativity while developing their imagination, dexterity and physical, cognitive and emotional strength. It is important to a healthy brain development where they were engage at a very early age and interact in the world around them. For this school holiday, Mommy Jane brought Little Angels to DreamWorld Playland at IOI City Mall for Baby Bash event and Art & Craft activities. 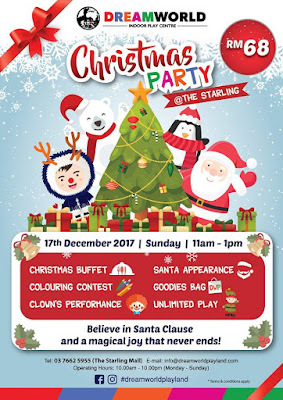 The Baby Bash event was organised by Sarah Voon from the Asianparent and official sponsors for the event include Offspring, Bosch and DreamWorld Playland. The goodie bag and lucky draw sponsors include EZ Baby, premium baby carrier, Merck, Da Vinci Creative Kids, Cetaphil Baby, Biolane and Trunki. The activities start by Bosch Dishwasher demonstration, EZBaby Hip Seat Carrier Dance and the Asianparent Activities which include puzzle building contest. It was fun and all Moms and their children had enjoyed the activities organised on that day. Lunch was provided on that day by Lillipilli Catering. The Yong Chow Fried Rice, Bolognese, Egg Sandwich, Chicken Cocktail Sausages and Chocolate Tarts were delicious and even my Little Angels had finished up their food in a short period of time. Besides corporate event, Dreamworld Playland do organised birthday parties and all sorts of gathering too. After our lunch, the moment that all parents are waiting for which is the lucky draw and social media competition winners announcements. Lucky parents and winners had brought home attractive prizes and everyone were so happy. After the Baby Bash event, my Little Angels proceed to play at the newly renovated playland. 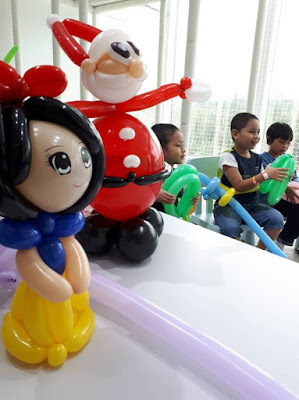 It offers more exciting activities and looks more beautiful and more comfortable for children and adult. Besides playing at the playland, Mommy Jane had registered my Little Angels for the art & craft activities too to sharpened their skills. They did a plushie key chain on that day which was taught by Ms Suzanne and her lovely daughter. Ms Suzanne had various experience in teaching art & craft at international school. 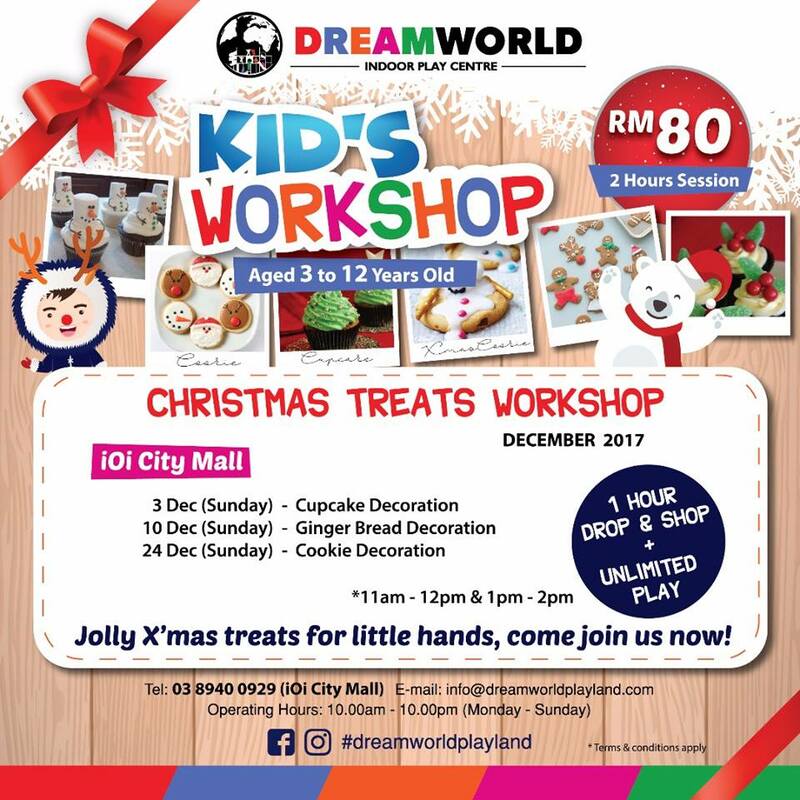 Just pay RM80 for each kid and parents can let their kids to join the 1 hour session for the workshop and 1 hour for the drop & shop plus unlimited play for the day. 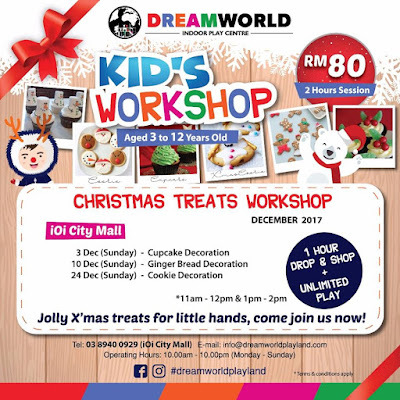 Dreamworld Playland has organised activities for the kids for every weekend during this school holiday at IOI City Mall and The Starling Mall. Besides the workshops, Dreamworld Starling will be organising Christmas party with lots of fun activities, buffet, contest, santa appearance, goodies bag and unlimited play for only RM68 per child. Limited places available and do your booking early to avoid disappointment. For more information, do log on to Dreamworld playland's facebook page at www.facebook.com/dreamworldplayland. Remember to bring your kids to DreamWorld Playland at Starling or IOI City Mall to build their future during this school holiday. 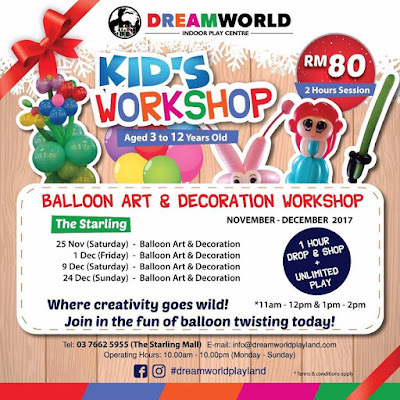 Let them have fun while developing their creativity and imagination with DreamWorld. One of my favorite playlands in KL, Miya loves and enjoys herself whenever she's there. Jia Shin, one of our favourite too. Let's go together next round. All my kids grown up, missed those times they were young we would definitely enjoy such outing. Syafiera, betul but I always prefer events with my kids. They are my priority. 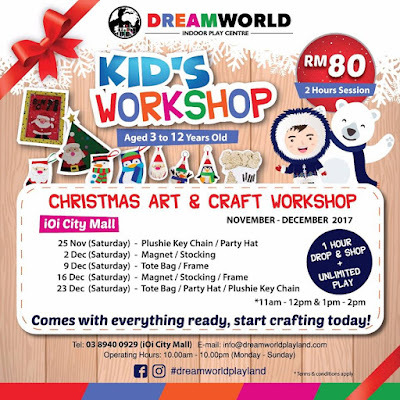 nice event for the kids. They can hang out and play with new friends. Look excited and many wonderful activities special cater for kids. Betty, kids could play and learn at this playland. Parents also happy with the ongoing activities. wao.. I also wanna be kids again can? lolz.. so much things to learn and play!! Bestnya! Nanti adam dan alif dah besar skit boleh join. Hahaha. Sekarang masih berdukung. Fuhhh penat. Ruby, just bring them here and they will play their own. The most important is, you can relax a bit. What a wonderful place for the children to play and learn during this school holiday. And it is affordable too. Emily, with the package, it is really worth to bring children over during this school holiday.